TransCanada is to build, own and operate a proposed pipeline and terminal facility in Alberta, Canada after reaching binding long-term shipping agreements. The storage terminal could have a capacity for up to 1.9 million barrels of crude oil. 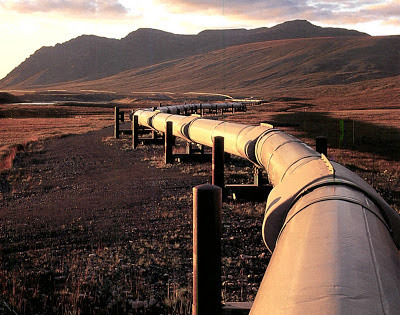 The Heartland Pipeline would be 125 miles long and able to transport up to 900,000 bpd of crude oil, connecting the Edmonton region to facilities in Hardisty, Alberta and a terminal facility in the Heartland industrial area north of Edmonton. Both projects, estimated to cost $900 million (€690 million) and enter service during the second half of 2015, are being developed to support growing crude oil production in Alberta. The company says it plans to file a regulatory application for the terminal by the middle of this year, followed by a separate application for the pipeline towards the end of 2013. TransCanada currently operates 15,000 miles of natural gas pipelines across Alberta and 2,150 miles of crude oil pipelines through its Keystone Pipeline.